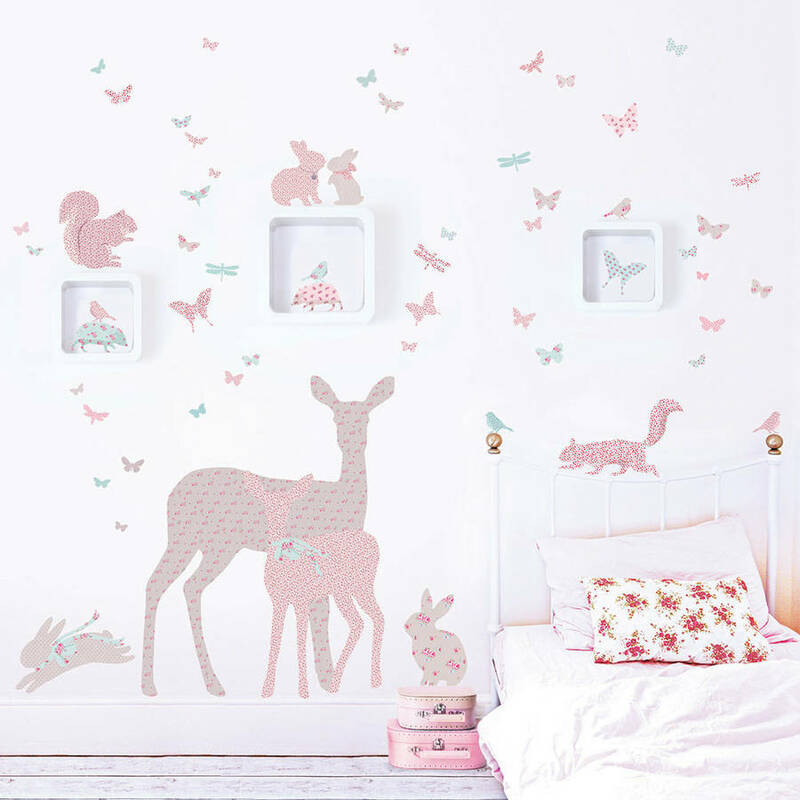 These woodland animal wall stickers make an enchanting addition to girls' rooms and nurseries. 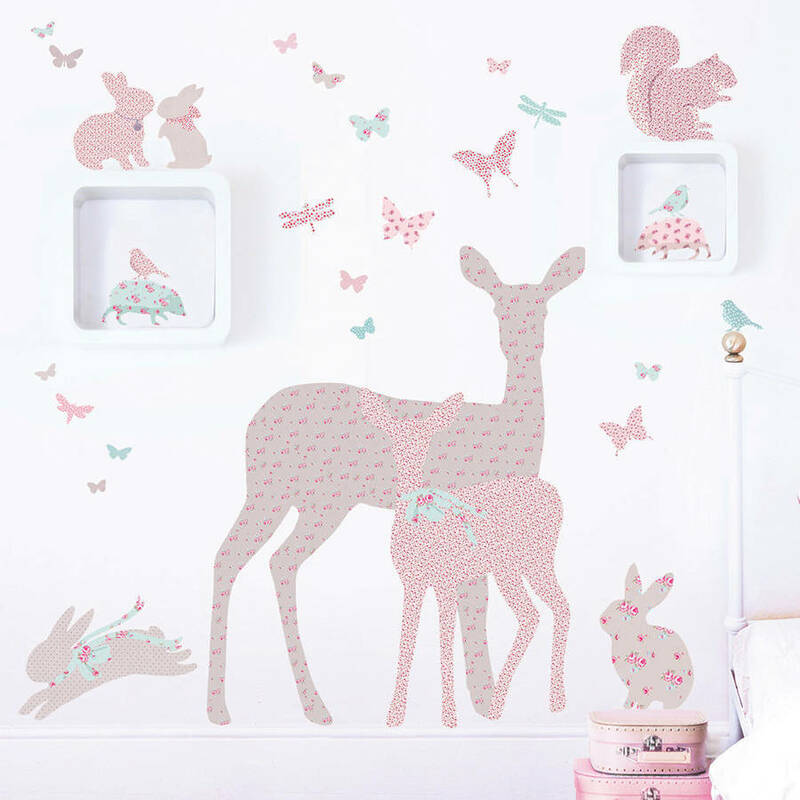 The silhouettes of the animals are made with a range of floral, gingham check and polkadot fabric patterns in shades of vintage pink and aqua. 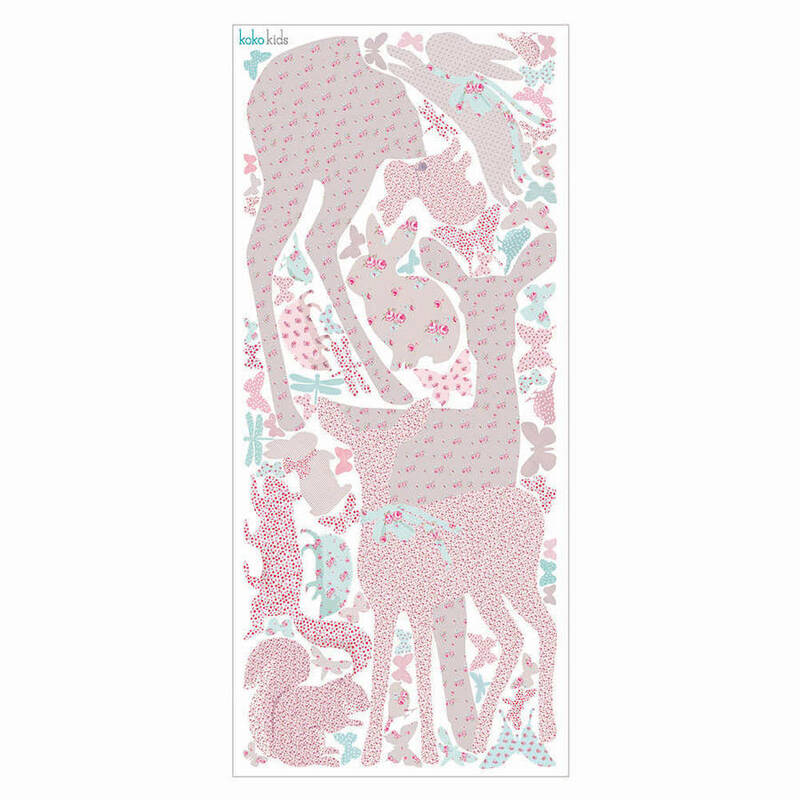 Use them to create a feature wall or scatter them around different areas of a room. As with all of our wall stickers they are made from fabric adhesive so can be removed and repositioned multiple times. 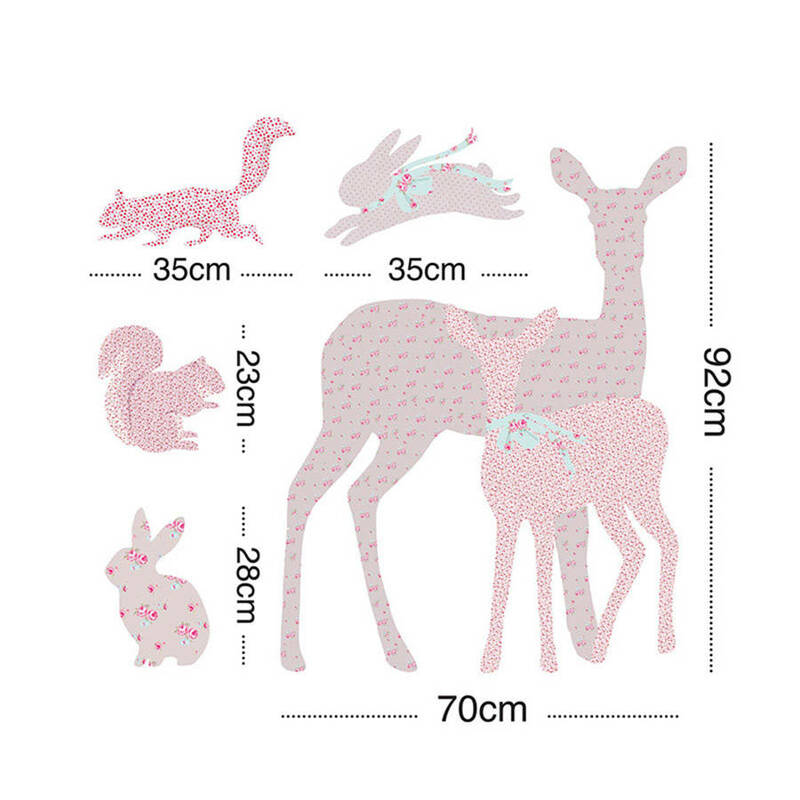 Fabric adhesive on a polypropylene backing sheet.